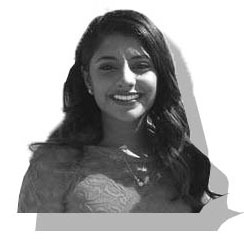 Sree Divya Alla, known as Divya to anyone who knew her, died Jan. 5 at the age of 22. After graduating from Rio Americano High School, Alla began her study of biology years at UCSC in 2014 as a College Nine affiliate. She found a home at the International Living Center (ILC) where she embodied the College Nine theme of International and Global Perspectives. Despite being a resident assistant at Stevenson College in her fourth year, Alla remained an active member of the College Nine community as a Global Action course student facilitator. She led by example, fundraising for women’s education in rural India. Her passion made her the perfect person to inspire students to create tangible change, said Global Action course facilitator Erin Ramsden. Alla brought her desire to help people with her in her work to become a dentist. She wanted to help people smile and she loved the relationship dentists have with their patients. For two years, Alla led the Predental Society as co-president. She radiated passion as a leader, said her co-president and close friend Evelyn Alferez. Alla’s involvement at UCSC did not stop at College Nine. She led the Fusion Dance Team as captain and the Indian Student Association as a board member. She was also involved in the Association for Computing Machinery, UCSC’s Women in Science and Engineering and the UCSC Create Club. Recently, Alla worked as a student achievement and equity innovation intern at UCSC, where she aided the Retention Services Administration. Alla’s dedication to a united, supportive community should be an inspiration to all UCSC students. Her leadership inspired those around her, and her kindness spread joy to everyone she met. She was an integral part of the College Nine and UCSC communities, and she will be dearly missed.